During our visit to Alnwick over the Christmas and New Year holiday, we had the pleasure of meeting many wonderful Alnwicktonians. 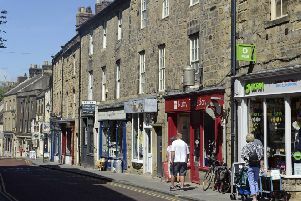 From the staff in the stores to the friendly pub-goers, folk truly love their town. It is this sense of community that will bring us back. But please turn up the sound on those charming bells that toll for thee.